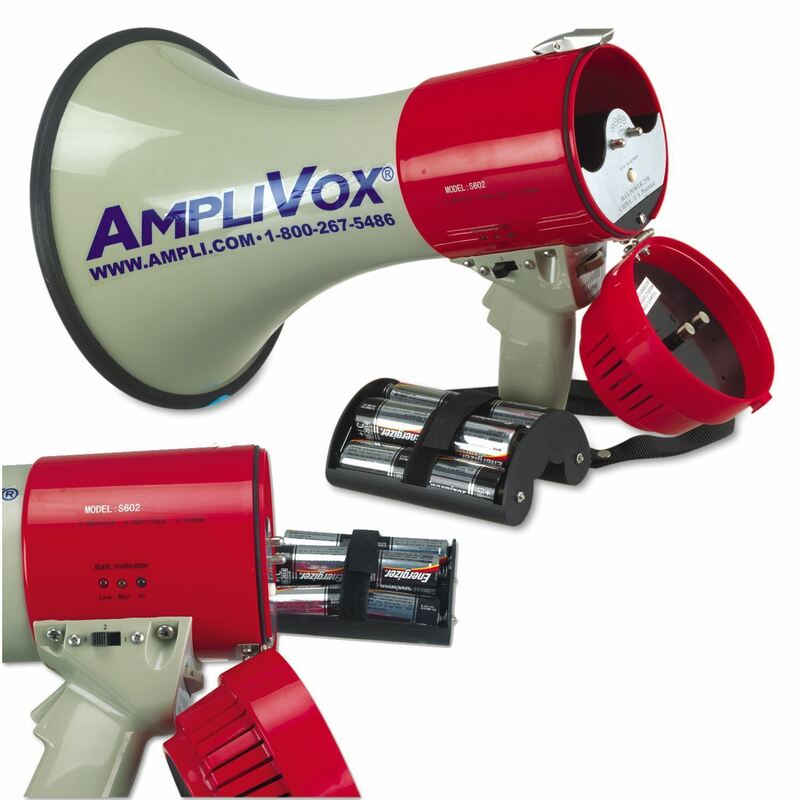 25W megaphone features Piezo Dynamic Technology that delivers powerful performance while significantly reducing weight and increasing battery life. Range up to one mile. 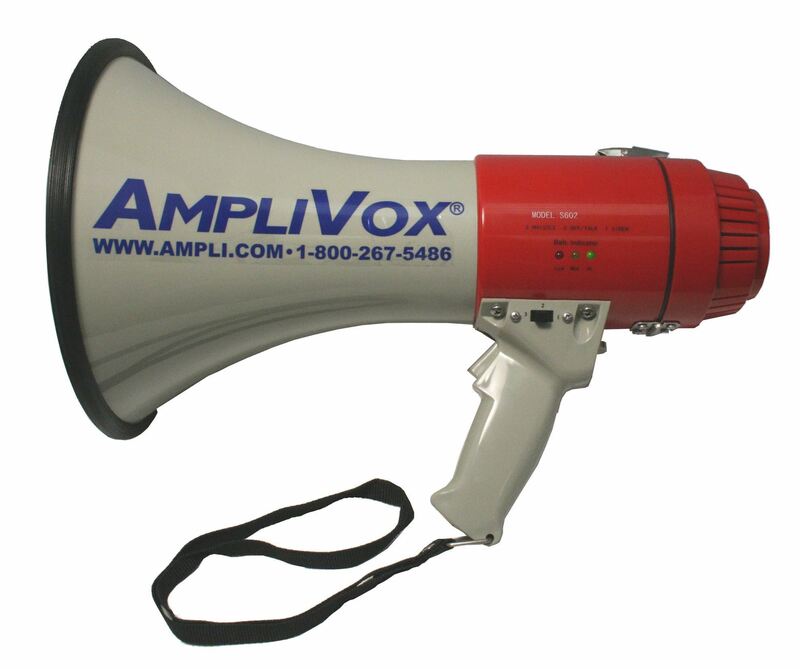 Adjustable volume and three modes: talk, siren and whistle offer enhanced versatility. Battery indicator lights show power status. Weatherproof design stands up to inclement weather. Pistol grip and wrist strap make it comfortable to hold. 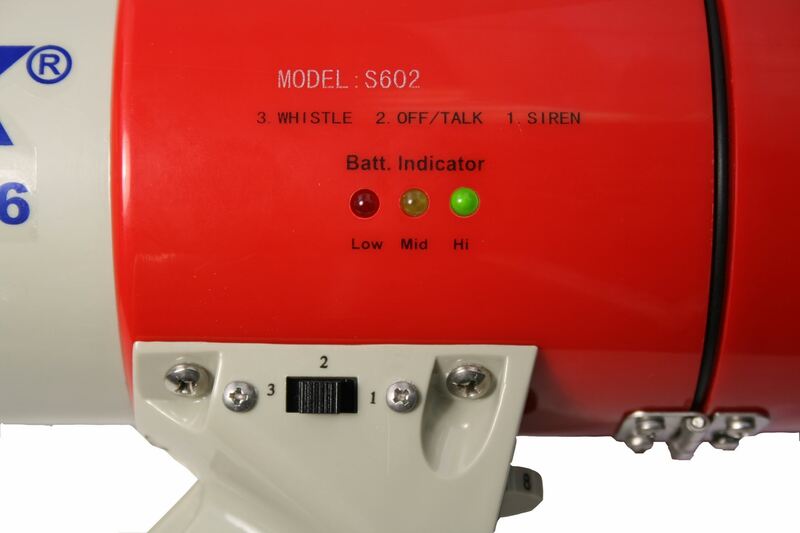 Operates for up to 18 hours continuously on 8 C alkaline batteries (not included). • Net weight 2.0 lbs. Copyright © 2019 Portable PA Systems. All rights reserved.